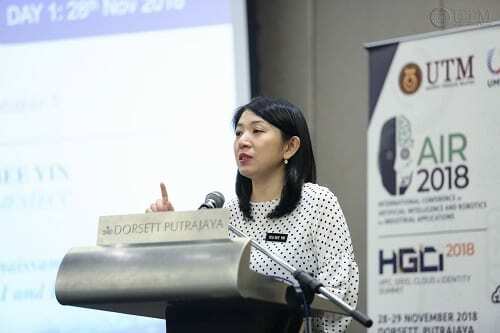 Kuala Lumpur, 28 November 2018 – The International Conference on Artificial Intelligence and Robotics for Industrial Applications 2018 (AIR2018) and The HPC, Grid, Cloud & Identity Summit (HGCI) was held at the Dorsett Putrajaya on the 28th and 29th November 2018 and was officiated by the Minister of Energy, Science, Technology, Environment & Climate Change (MESTECC), YB Yeo Bee Yin. In the opening ceremony, the YB Minister also delivered a keynote address entitled “The Economic Renaissance Led by Robotics, A.I. and IoT” in front of more than 200 conference participants comprising academia and industry. 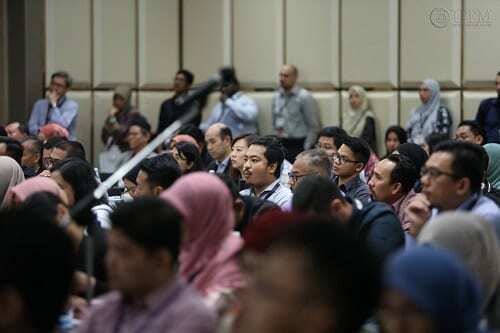 The AIR and HGCI 2018 conferences, themed “Industry-University Synergy Towards Industry 4.0”, was jointly organised by Universiti Teknologi Malaysia (UTM) and UMW Holdings Berhad where it marked an inaugural collaboration for such an event between academia and industry. The aims of the conference are to strengthen the cooperation between universities and industries, as well as to promote efforts to drive the nation towards the development of smart manufacturing sector to align with Industrial Revolution 4.0. 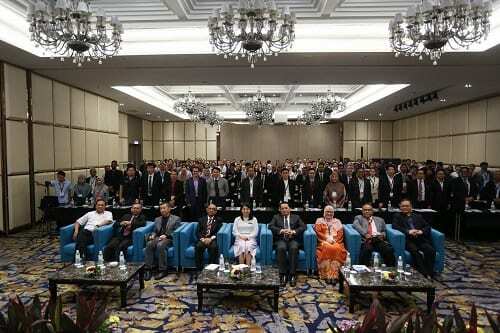 As such, the conference featured local and international keynote and plenary speakers of various backgrounds. In addition to the YB Minister’s keynote address, Nvidia Corporation as the platinum sponsor has brought Professor Simon See, Chief Solutions Architect from Nvidia A.I. Technology Center in Singapore, to deliver the conference’s second keynote address which focused on A.I. and Deep Learning Technology. The Chair of the conference, Professor Datin Dr Rubiyah Yusof, Professor at the Center for Artificial Intelligence & Robotics (CAIRO), Universiti Teknologi Malaysia (UTM), thanks the Ministry of Energy, Science, Technology, Environment & Climate Change (MESTECC) for their continuous support towards the AIR 2018 conference, which epitomises the synergy and collaborative efforts among universities and industries. She also extends her gratitude to UMW Training Center Sdn. Bhd. as co-organiser of AIR 2018 conference as well as to other industry sponsors – IBM, Gigabyte, Yottasoft and Novorient for their patronage. Professor Rubiyah hopes that these efforts would continue to attract more industries into collaborating with universities to support the country towards realising Industrial Revolution 4.0.